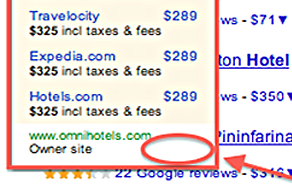 Giving you the control to put your direct hotel pricing & availability inline with the OTA’s on these popular Google searches. Woodcrick Ventures gives you the opportunity to provide your direct hotel pricing to consumers via Google at a fraction of the cost of selling through the OTA’s – we offer an easy-to-manage CPC model which means no transaction fees or commissions. It’s simple…our team at Woodcrick sets your hotel(s) up to push rates and availability to the seekda booking engine which is then indexed by Google. When the user is searching on Google+ Local (formerly called Google Places), Google Maps or on Google Hotel Finder – your rates will display in real-time on the dates you have loaded with inventory for your property. These potential customers will then be able to view your hotel’s rates alongside the large OTA sites that are also bidding for the traveler to book on their site. Keeping your rates in parity on all channels is important, and so is giving customers the chance to view your direct rates when they are researching on search engines like Google. Research shows that a majority of travelers start their vacation or business trip planning on search engines – so make sure your hotel is listed at the time when consumers are researching & booking their trip. 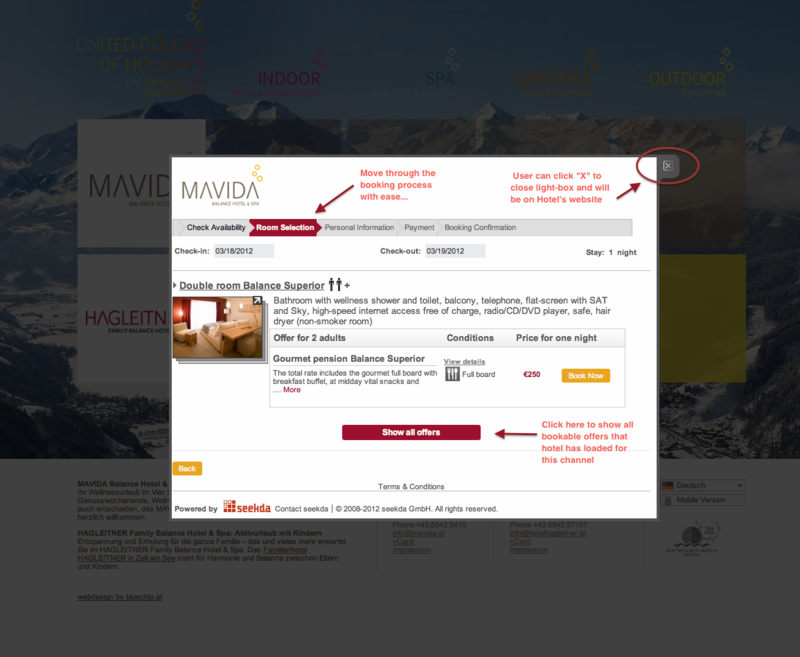 Clicking on the “Ad” takes the user to your hotel’s website with light box presentation of the seekda booking engine. The consumer has the choice to book via the seekda booking engine, or your own website…all for the cost of a click! There are no transaction fee’s and no commissions to pay and you sell your daily rates direct to the consumer. Contact a Woodcrick Representative today for more information! Are you a Convention & Visitor Bureau, Tourism Organization, Destination Marketing Organization or Hotel Product Supplier? Now, for the first time, CVBs, Destination Marketing Organizations and hotel product suppliers can offer their constituent hotels the opportunity to directly connect to Google’s hotel initiatives instead of indirect participation through high cost OTA channels. By utilizing seekda advanced technology, hoteliers can offer their rates and availability directly to the consumers through Google travel channels at a fraction of the cost and no commissions, transaction or booking fees. This is something your hotels want, and we can provide you the way to deliver it to them. Discounts may be available based upon volume. Please inquire with a Woodcrick Representative today.